Stick At is the boss of the flying trousers from Emoji App. With the flying trousers it is about a remote control by software. Computer scientists can thereby control the trousers by a programme. In this programme above all spies from the Salted Cucumbers have big interest. That's why they sponsor the research in Emoji App. Stick At was born 16798 days ago in Emoji Pop. Her father was guitarist of a music bank. Her mother was a piano teacher. She studied music sciences in her natal town. With the conquest of the town by the Salted Cucumbers Stick At had to flee from the town. She applied for asylum in Emoji App. In protest the most important stockholder of the software company decided to name her as a boss of the enterprise. Thus she became a boss of the company. 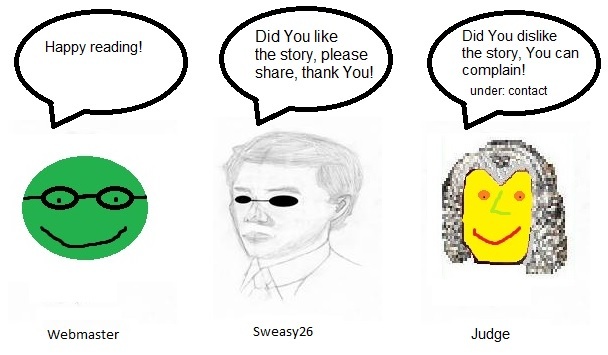 Sweasy26 met Stick At for an interview about new technology from Emoji App. She required a cooler in the space before the interview. This device had to procure the extraterrestrial Sweasy26 specially for this interview. The clear majority says Yes in the general assembly for the construction of the fourth motor in the battery for the next generation of the flying trousers. However, you were quite clear against it. Finally, you are disappointed very much because of the conquest of your hometown. Why did the majority follow against your recommendation? Stick At starts to cry: The bad Salted Cucumbers pinched my hometown. Now they try to sponsor spy programmes in completely Emoji. My parents cannot leave the house. They live in great fear in Emoji Pop. But among the mighty stockholders there are some Cucumbers. The construction of the fourth motor in the battery is very important for the technical future. Authorities could thereby supervise every inhabitant during nearly 24 hours. This is very important for the Salted Cucumbers. Every step of the citizen can be transmitted thus to the spies within two seconds. Besides, we have inserted a tiny cassette recorder in the battery. Thus voices are recorded. A good device originates from it for the prevention of the home violence. Many female Emojis need such a device. Thus they are protected against the violence of their domestic animals. This device protects above all against spiders, mosquitoes and flies. Tell us about the remote control of the trousers! Stick At presses a button on her forehead: Now I sent an update to the ageing software in the trousers in my bedroom at home. After 4 seconds she shows very proudly at the screen of her clock: Here you see. There my trousers fly in my bedroom directly to the cupboard, and not simply to the cupboard. The trousers fly exactly on the uppermost drawer completely on the left. There it is still a lot of free place. We could realise this progress above all thanks to the support from Pluto. I must mention this anyway. Even if the Salted Cucumbers are angry at it very much. In this case their influence is not useful a lot luckily. Which news will you show by the next presentation in Emoji App? Stick At: I will show to all spectators how the trousers land by the remote control directly in the cupboard. Also I show how bought goods directly find in the fridge their places. In addition I will allow to program an invisible microbe by a specialist fast. The invisible microbe gets a lot of energy from the strong battery. The trousers or also something other thereby fly directly to the desired place. I will also present an intelligent clock. With this clock you can do your everyday duties with few clicks. This clock shows not only the topical time, but is suited as a brain replacement with lazy consumers. However, this system uses the bacteria and microbes of the consumer. That's why the buyer of this clock should never forget to collect some bacteria or microbes. Then they change into useful assistants of the everyday life. This sounds very revolutionary. No miracle is that Salted Cucumbers are very with envy on extraterrestrials from Pluto. Where do you see, does potential still exist? Stick At: I think that we stand with our technology before a big breakthrough since long time. Many Emojis would have to get used to the new devices. For this purpose I will oblige the parliament and the king to it. Of course I still need a lot of energy for conviction work. Finally, every inhabitant of Emoji does not want to be supervised by the Salted Cucumbers. Here it needs a reprogramming of the people. You want to reprogram own people in favour of the Salted Cucumbers. Nevertheless, this contradicts your initial statement! There should be a reprogramming in favour of the software industry. About the Salted Cucumbers: I have lied at the beginning. I certainly have very good contact with them. They finance my place as a boss of the company. Why should I be against them? They spy only because of fear of the Circus Country. Many Cucumbers have great fear of the ruler of that country. In Emoji many inhabitants see this completely different. Many Emojis miss the time of the Circus Union. Also of the rule the Horror Clowns is still mourned. Above all the old Emojis still mourn about the death of the Last Horror Clowns. Do you want to deal one day again something with the music? Stick At presses a virtual guitar on her mobile phone: You do not believe me, but I deal daily something with the music. In the musical department of our software company computer scientists program regularly several new songs. These songs are sung afterwards by the computer so well. We renounce since this success the radio listening. With us always there runs the self-programmed music. So well there functions this music. Nobody believed this at the beginning. Now tremble even real musicians and singers that they could be soon substituted with the software. This scenario is absolutely realistic. Radios still want to include no programmed music and songs in their daily schedule. But it is only a matter of time. What is your favorite app from your enterprise? Stick At: I have explained my favorite app, nevertheless, before to you. It is the remote control of the trousers in my bedroom to the cupboard. Thus I do many things at home, even if I give only commands only about this programme. 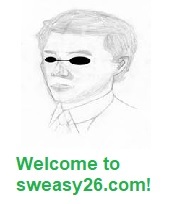 Sweasy26 thanks for the exciting interview Stick At to the High Tech from the direct source of Emoji App.